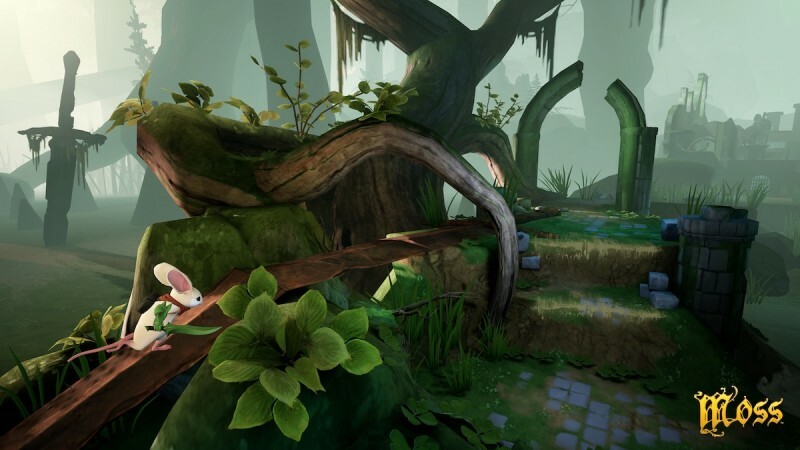 Moss represents an experiment inside the already-experimental world of virtual reality. 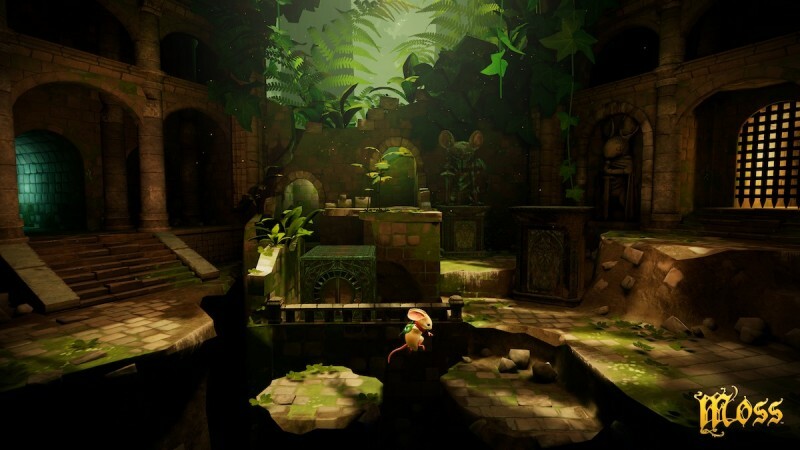 It’s a third-person platformer, but it’s played from the perspective of a second character inhabited by the player. 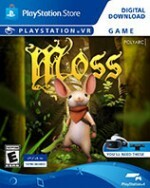 I have played games like this before – essentially an action game with an isometric camera, but Moss feels different because it is played in virtual reality. 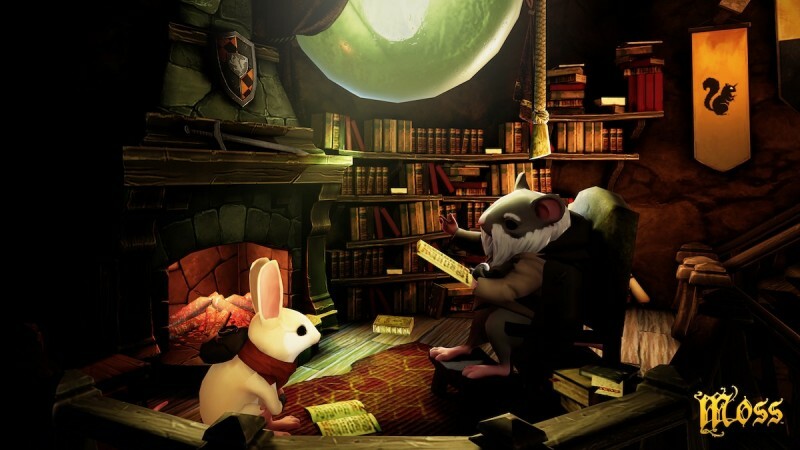 You are the reader in Moss, literally sitting in a library reading the game’s story, guiding Quill the adorable mouse on a journey to save her uncle. She acknowledges you, and where reflective surfaces appear, you even see yourself as a masked spiritual figure. Seeing myself in the world for the first time was exciting. It made me feel involved in an interesting way, and demonstrates what VR (even when unevenly executed) can add to this genre. 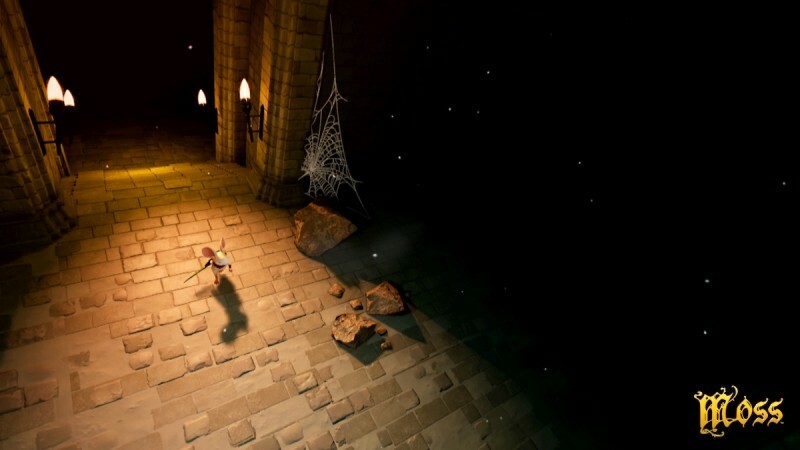 The moment-to-moment gameplay has you controlling Quill as she platforms and climbs through the environment and occasionally unsheathes her sword to battle with enemies. The movement and jumping feel great thanks to Quill’s fantastic animation. She moves with amazing fluidity both in gameplay and in the custom cutscene animation. She looks great swinging a sword, too, but the combat gets tedious fighting wave after wave of familiar enemies. I like the feel of battle, pulling off simple combos and quickly dodging attacks, but once you find your baseline tactic (slash, slash, dodge, repeat), Moss never gives you a reason to leave that comfort zone. As the reader, you also interact with the world directly, moving the controller to rotate platforms and move blocks. You also take control of enemies by hovering over them. This element is inconsistent, and I elbowed my chair frequently to get my hands into place. Every time the in-game icon would bounce around or not work properly, it would take me right out of the experience. Quill’s story is a simple one. She finds a magical artifact that sends her on a journey to save her uncle and with its anthropomorphic animals in a medieval setting, it reminded me of Brian Jacques’ Redwall book series, which I loved when I was young. 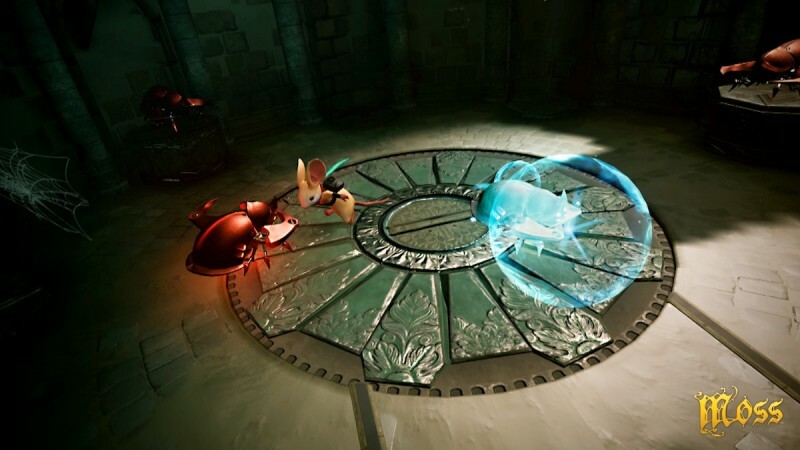 Quill’s journey is your focus, but the environments are littered with clues about the past, teasing that humans and advanced technology may have existed at one time. The final boss fight is satisfying, but it stumbles right at the end with a tease for a sequel. Wanting more from a story is usually a good thing, but in this case, the game held too much back and left me disappointed. 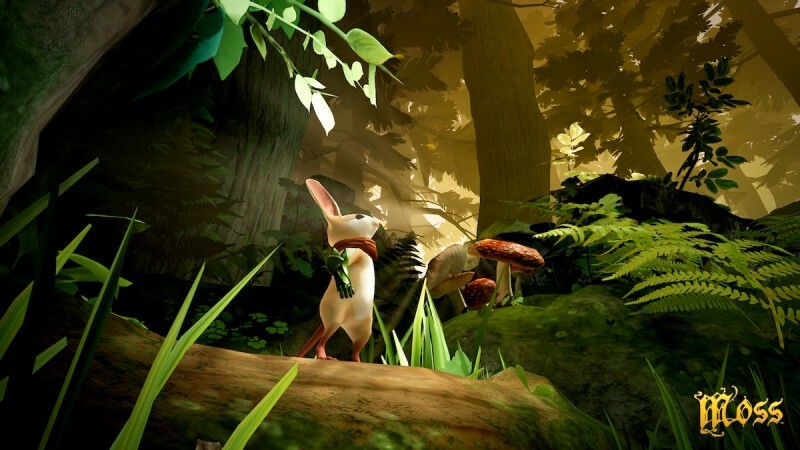 Moss struggles with some aspects of its VR implementation. Playing a video game with your neck isn’t particularly fun and the motion controls cause more trouble than they’re worth, but many moments are aided by wearing the headset. 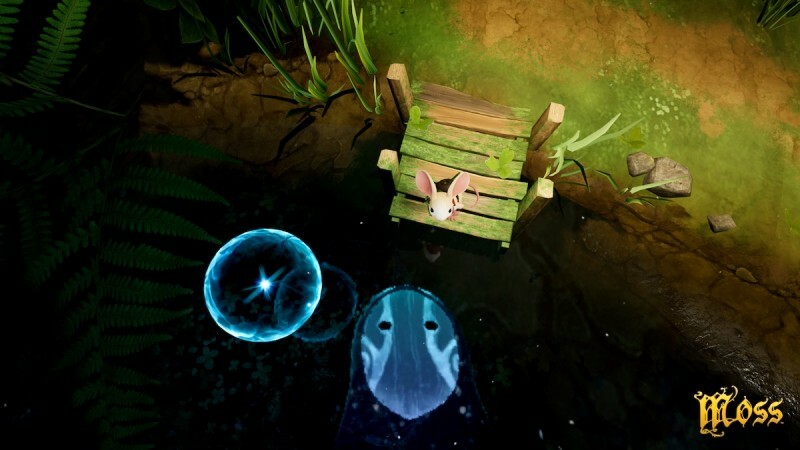 Seeing myself for the first time was a fun surprise, and directly interacting with Quill, like giving her a high-five after completing a puzzle, wouldn’t feel the same in a standard game. 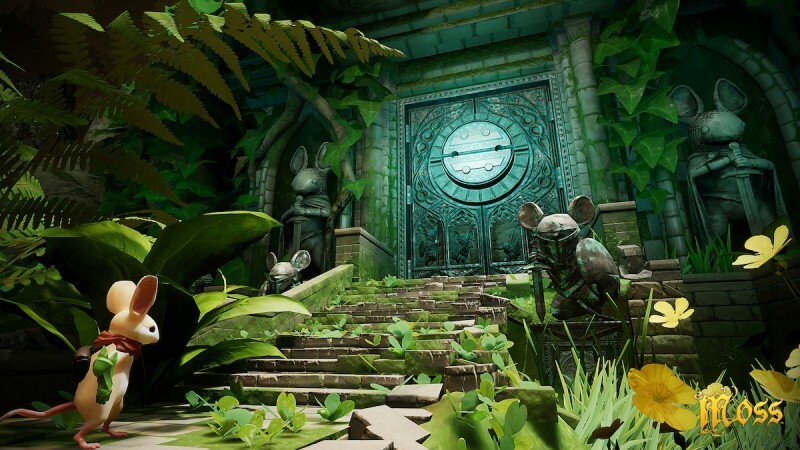 Despite its shortcomings, Moss is one of my favorite virtual-reality experiences, and I look forward to seeing where the story goes next. 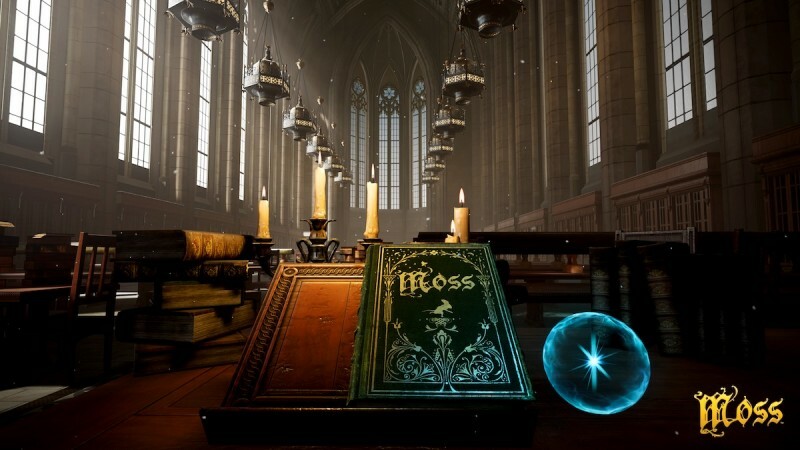 Despite a few shortcomings, Moss is one of my favorite virtual-reality experiences, and I look forward to seeing where the story goes next.